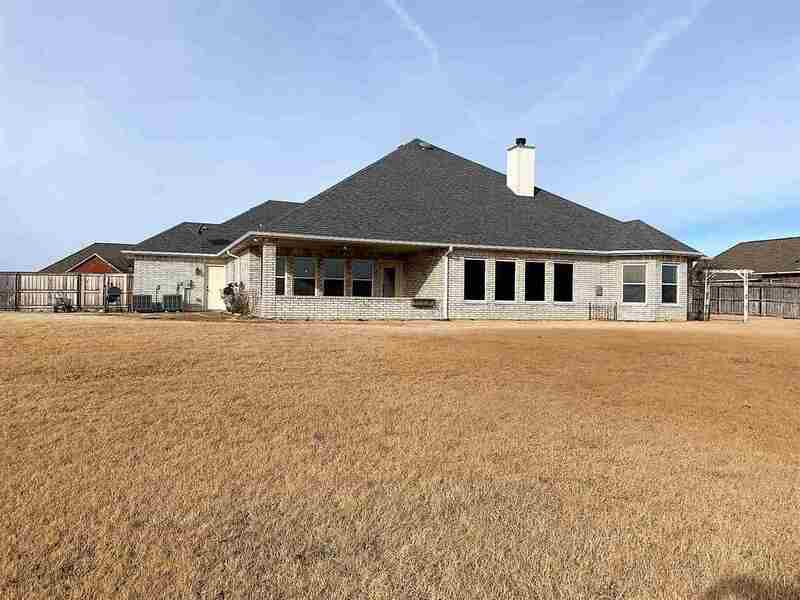 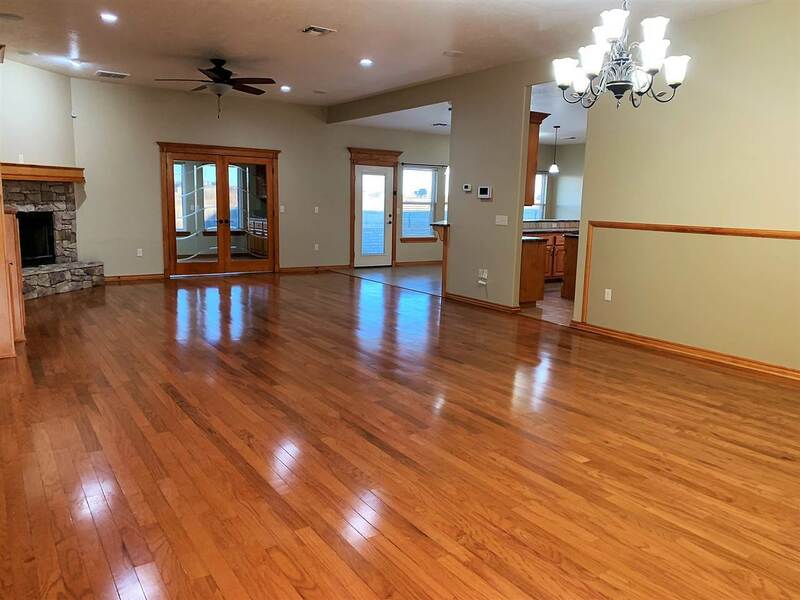 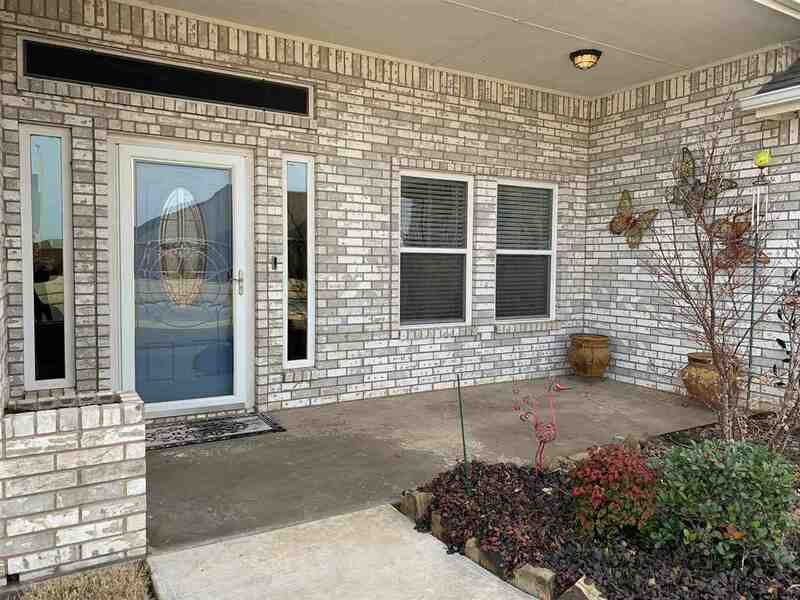 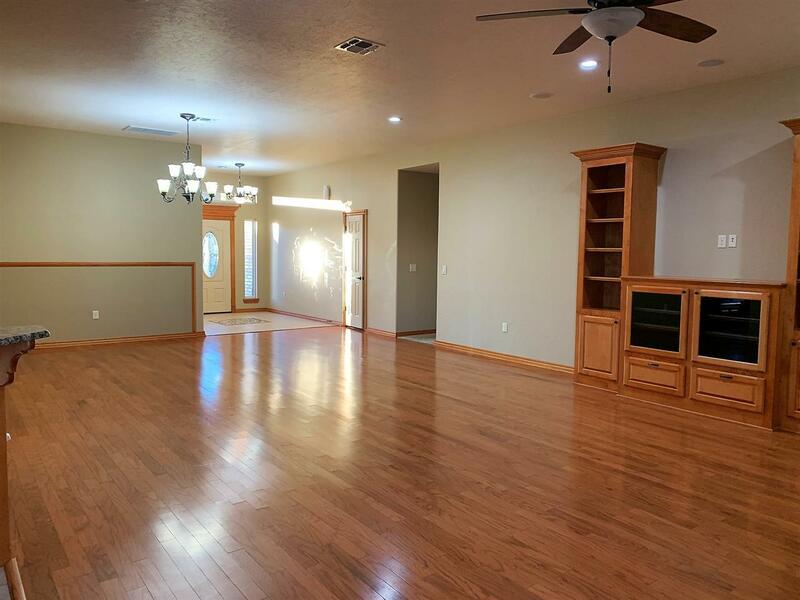 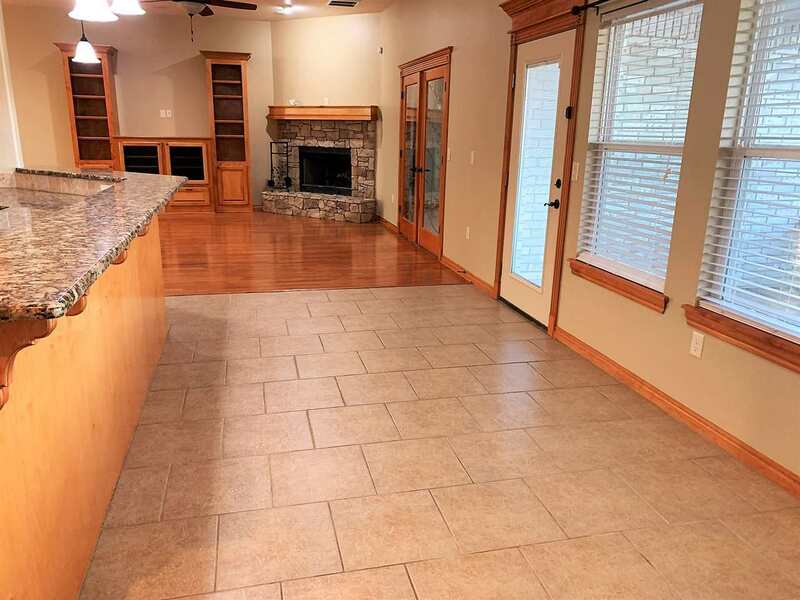 This beautiful home in Valley View Estates could be your dream home! 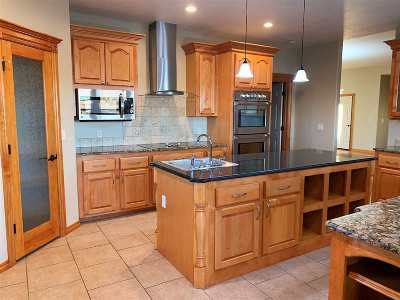 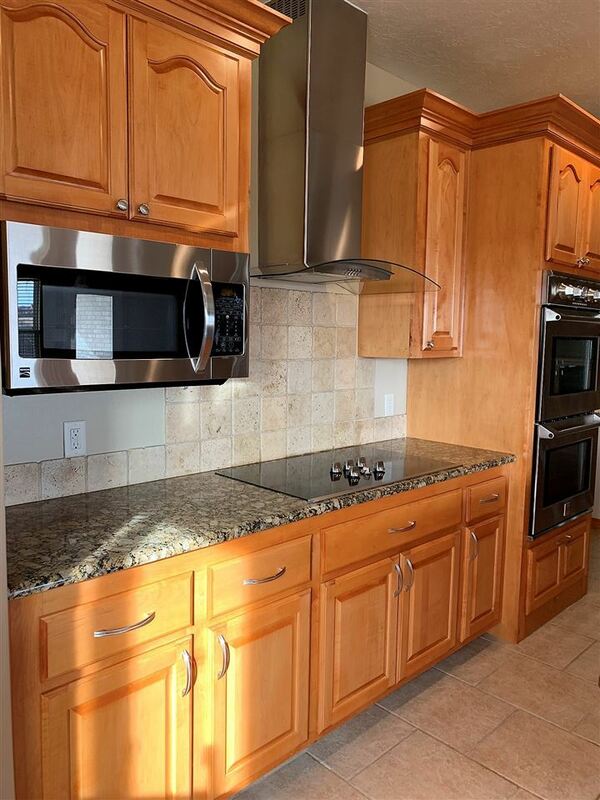 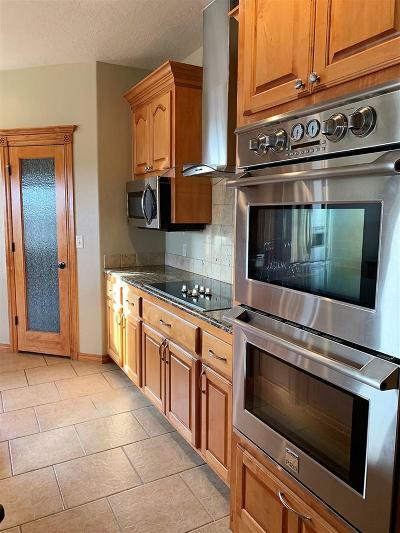 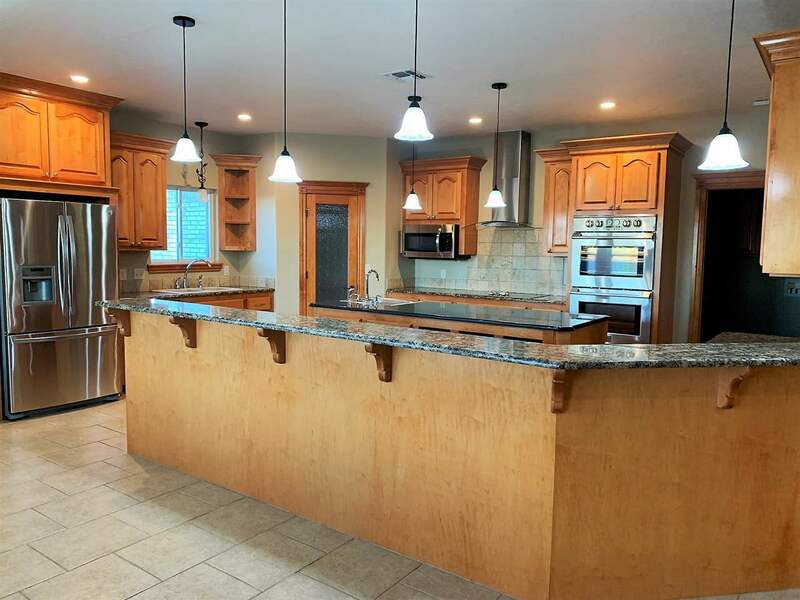 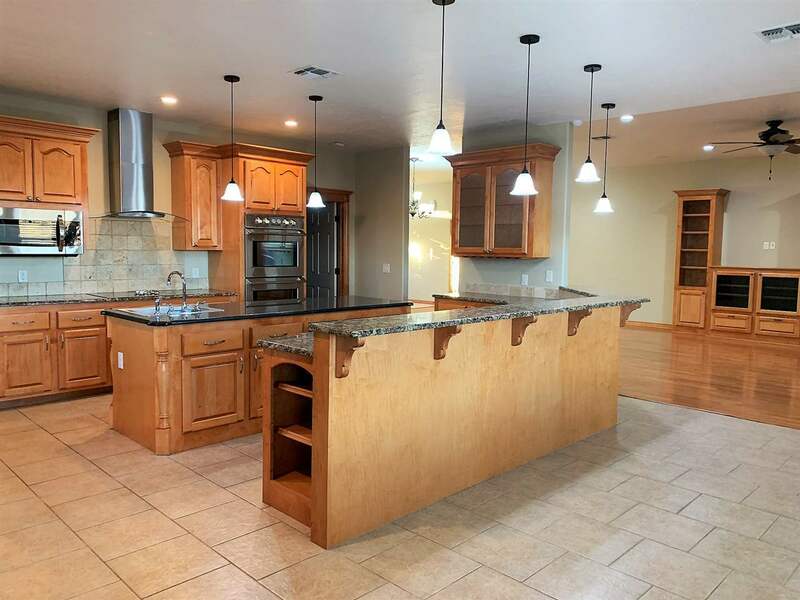 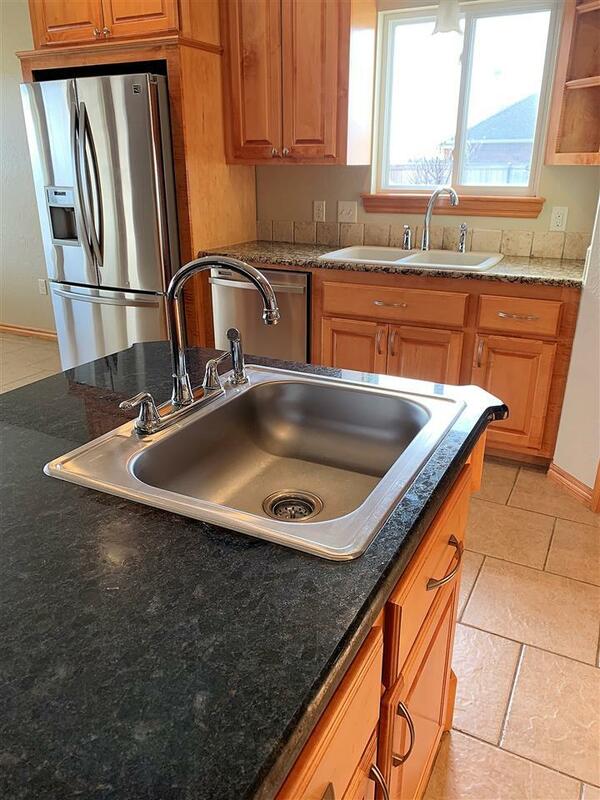 It features 2 living areas, an office, 2 dining areas, 3 bedrooms, a gourmet kitchen that is gorgeous with granite counter tops, double ovens, large cook top with vent hood, and a large pantry as well as an over-sized island with a sink. 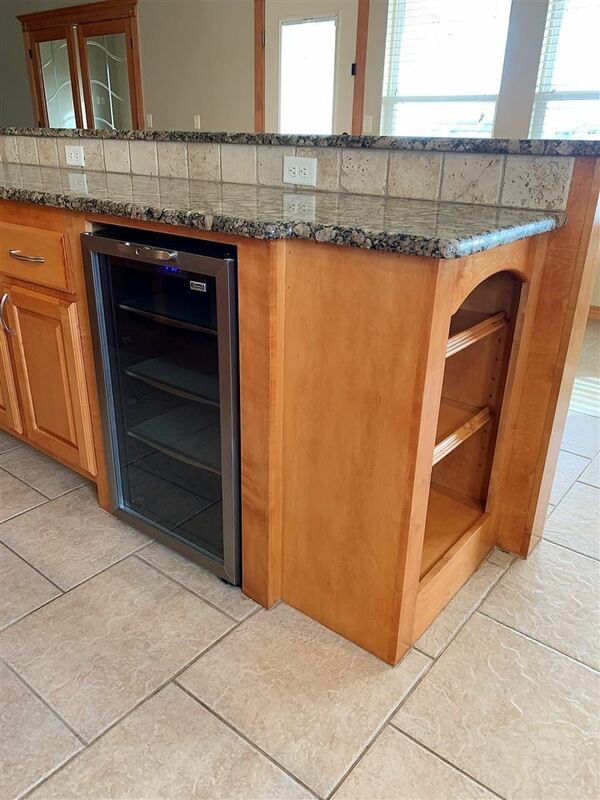 The kitchen has several great features such as a built-in wine cooler, wine-glass rack, beautiful vent hood, double oven, built-in microwave, large pantry and tons of storage cabinetry. 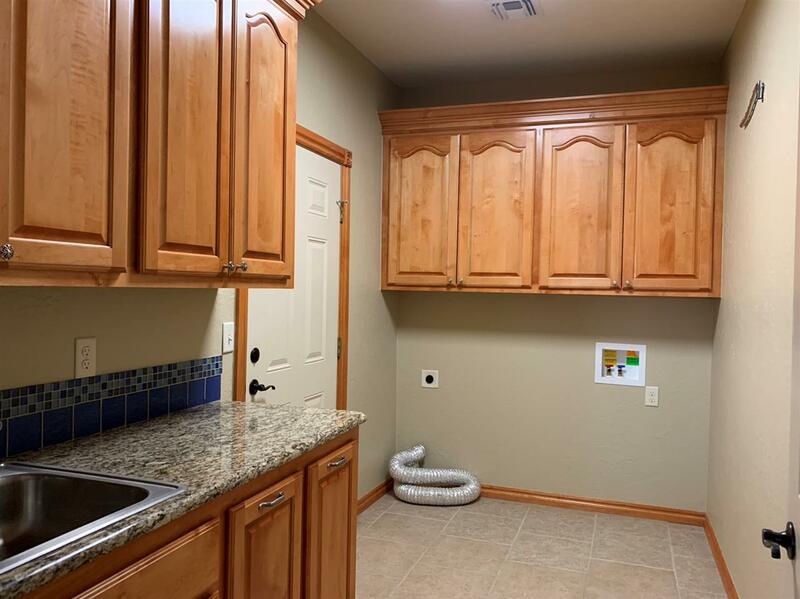 The laundry room is just off the kitchen and features a sink, folding counter and storage cabinets. 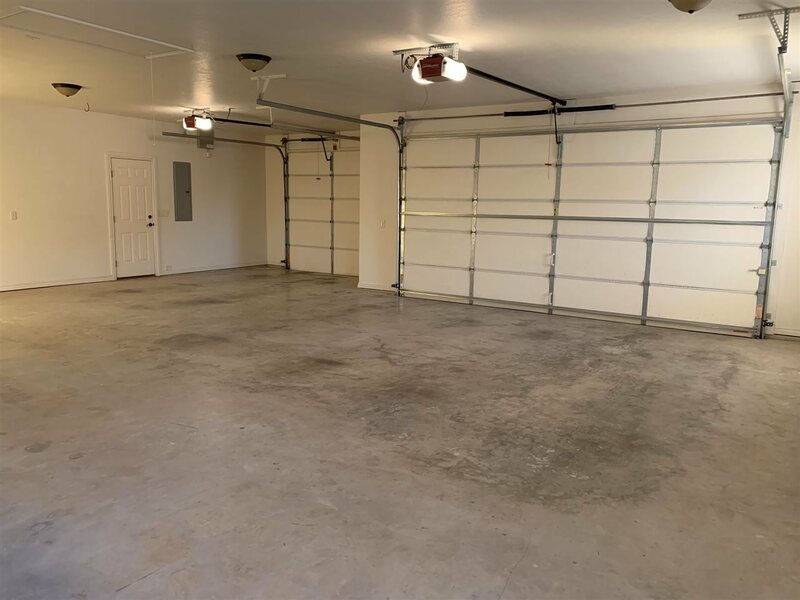 There is a large 3-car garage with plenty of space for storing lots of cars and toys. 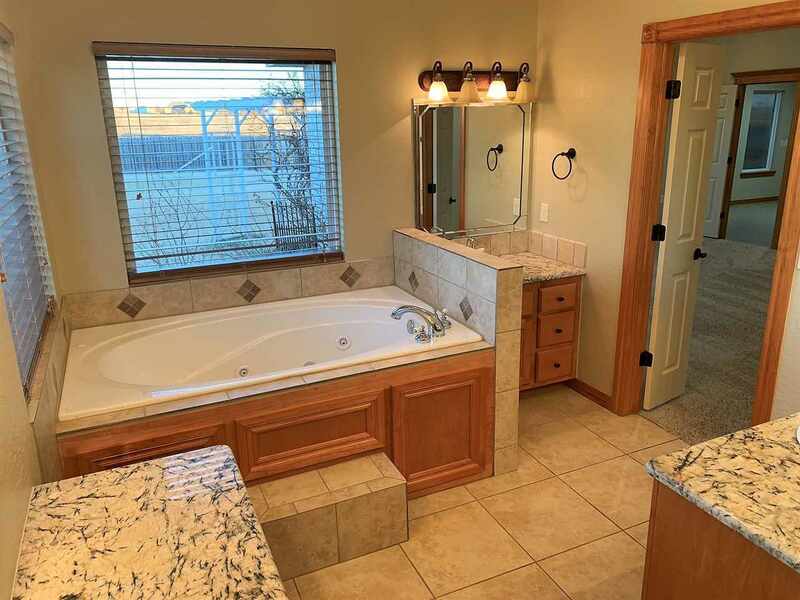 The master suite is truly special! 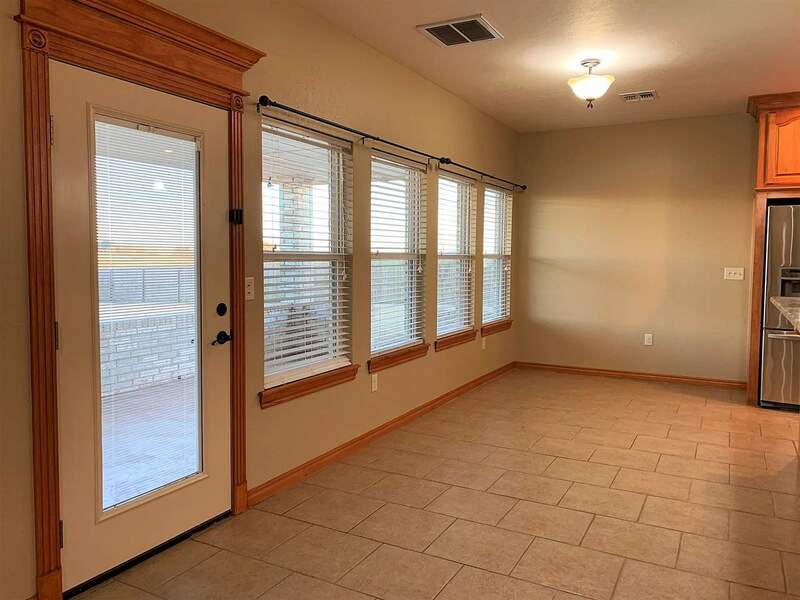 It is over-sized with plenty of space for a sitting area in the bay window and two walk-in closets. 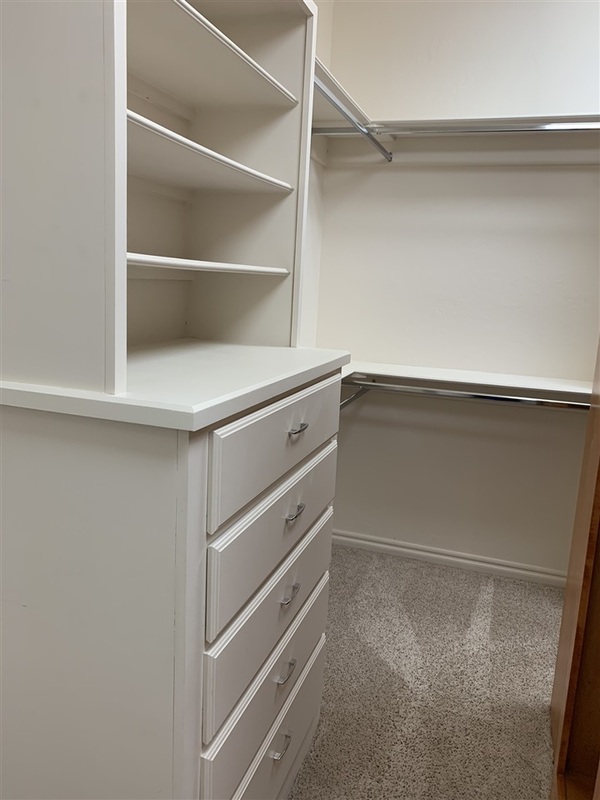 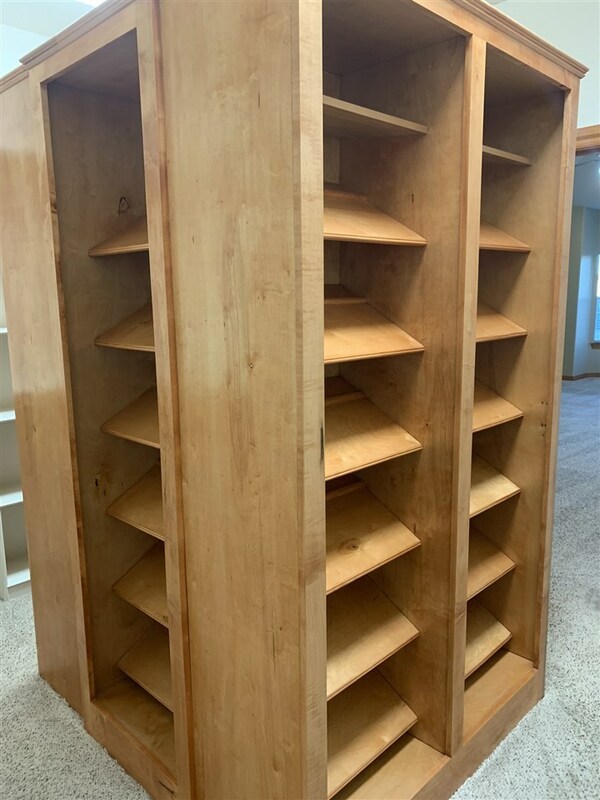 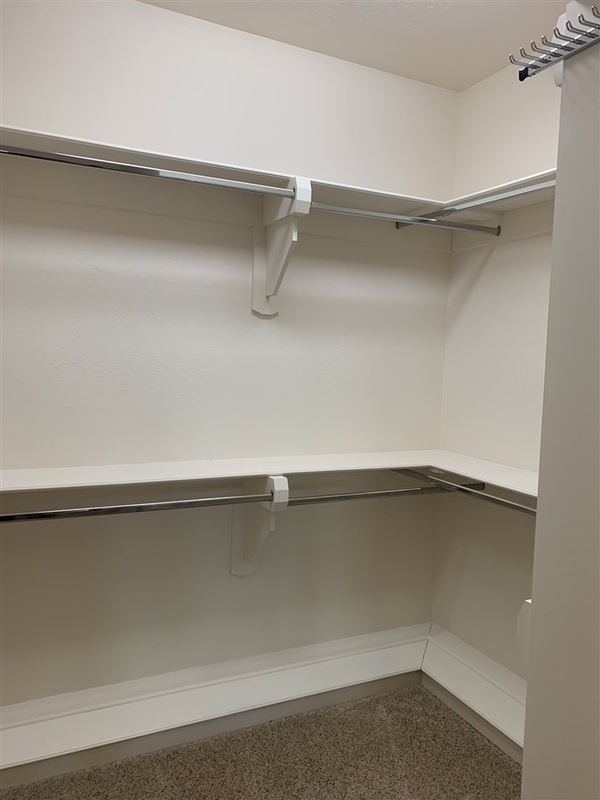 One of the closets has a built-in shoe carousel in addition to tons of built-in drawers and racks. 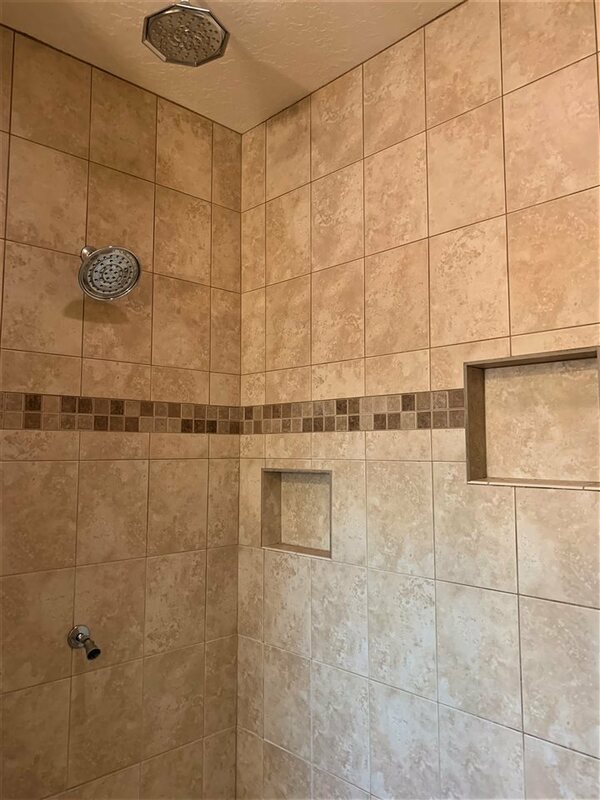 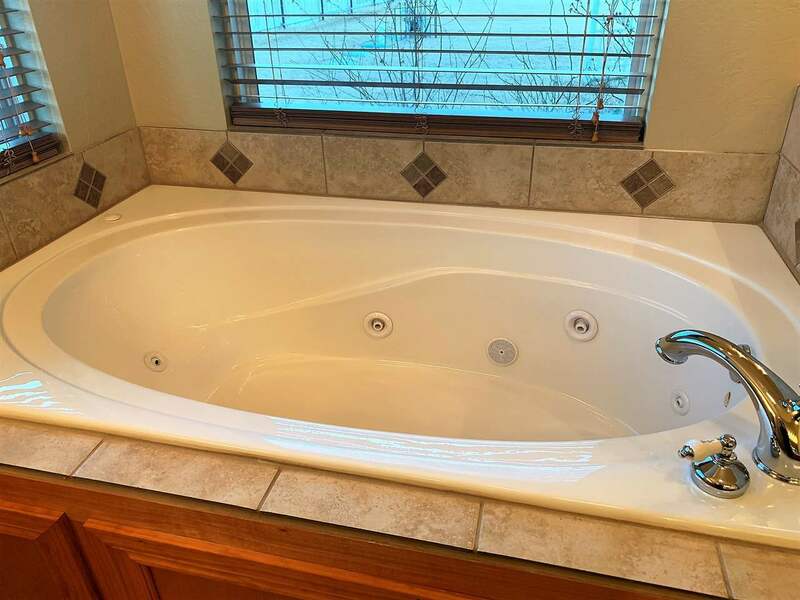 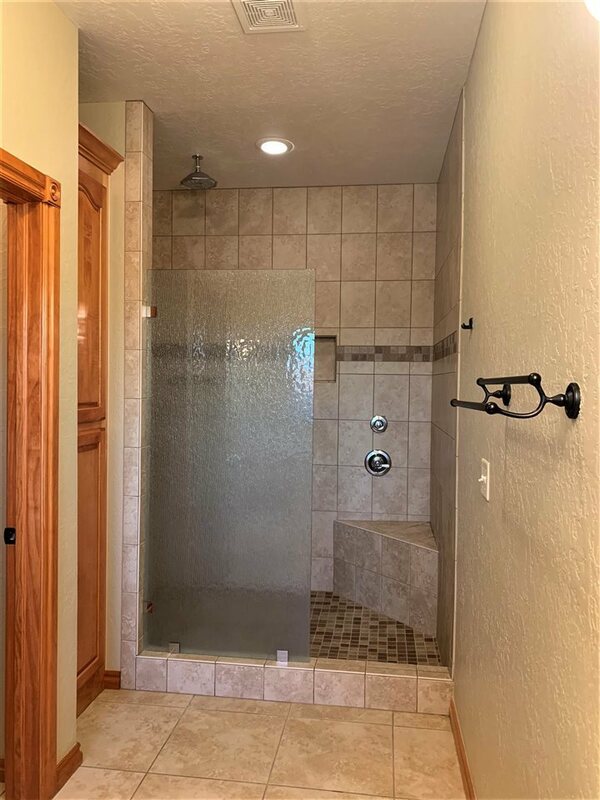 The master bath features a 6-foot whirlpool tub, separate shower that is over-sized and has a bench and 3 shower heads. 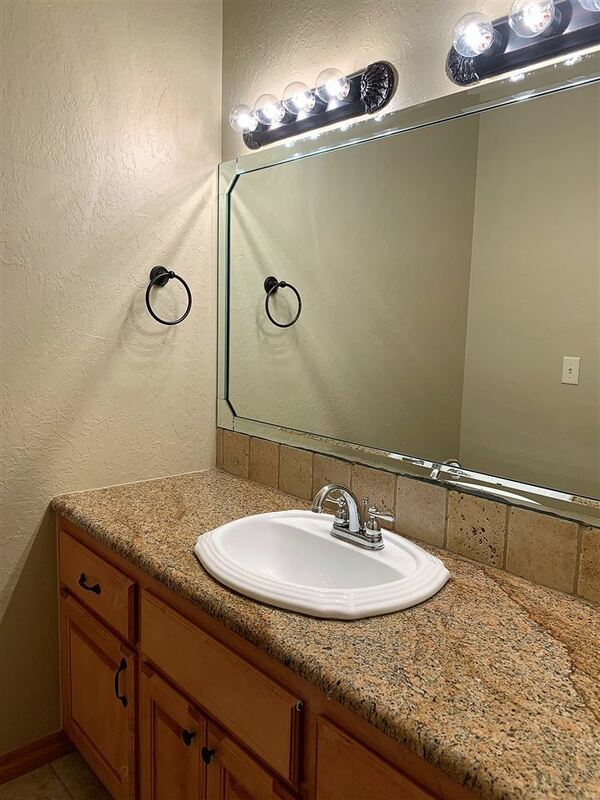 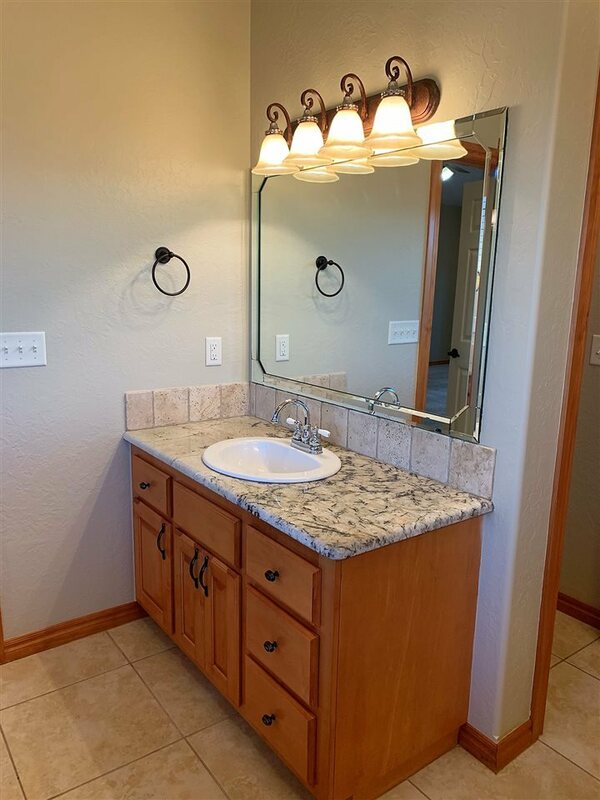 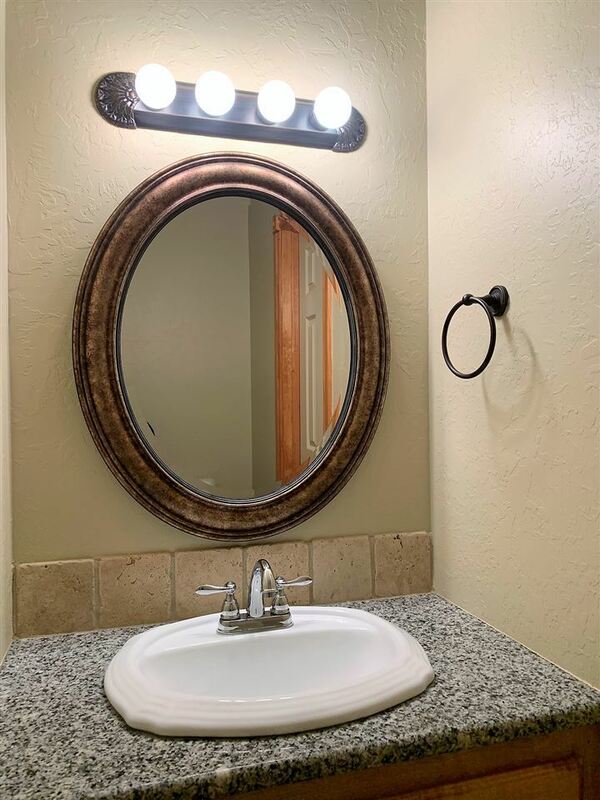 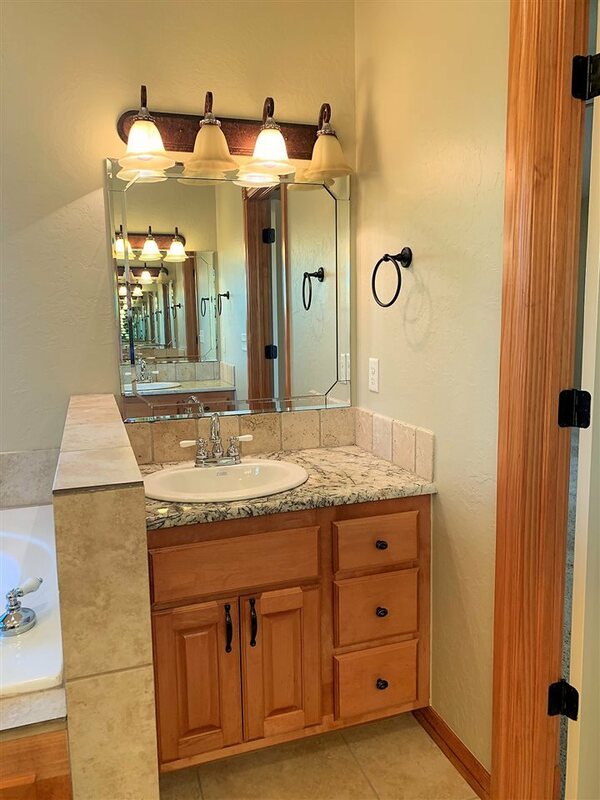 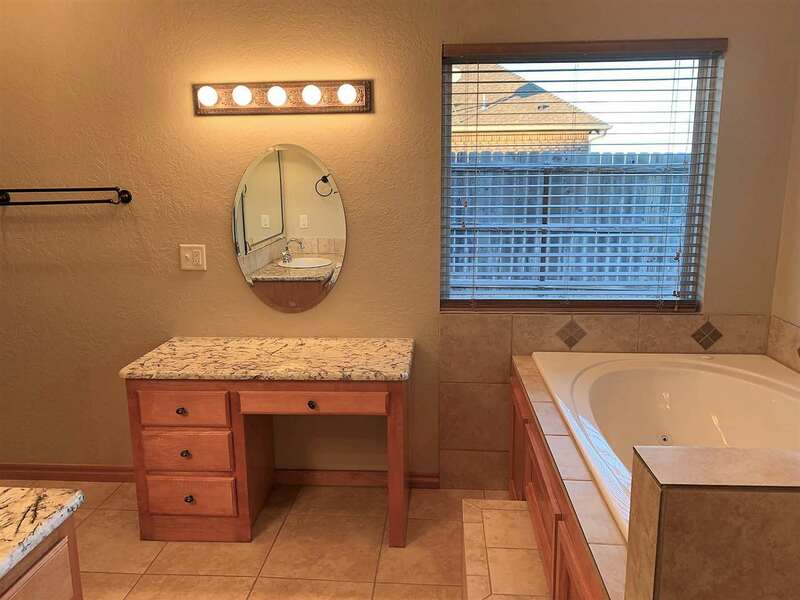 There are 2 separate sinks and a granite-top vanity. 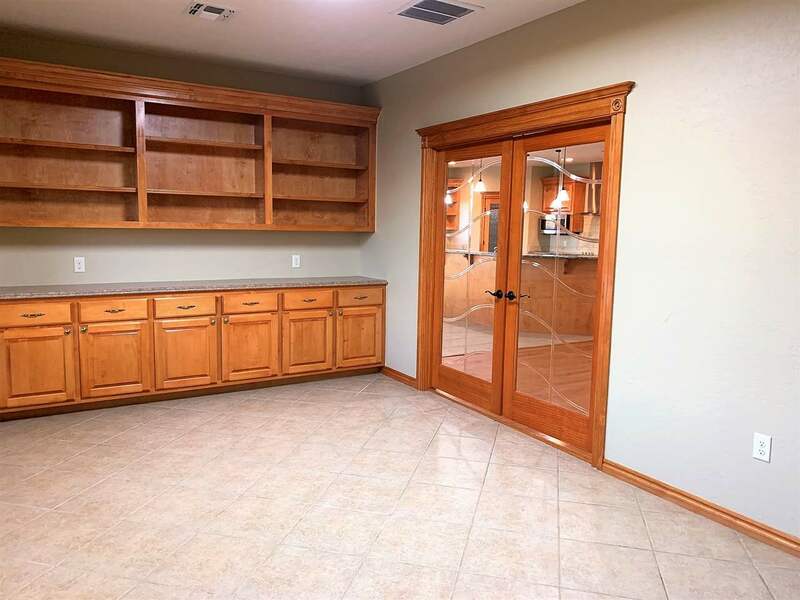 The second living area is just off the master bedroom and could be a fitness room, work out room, craft room or media room. 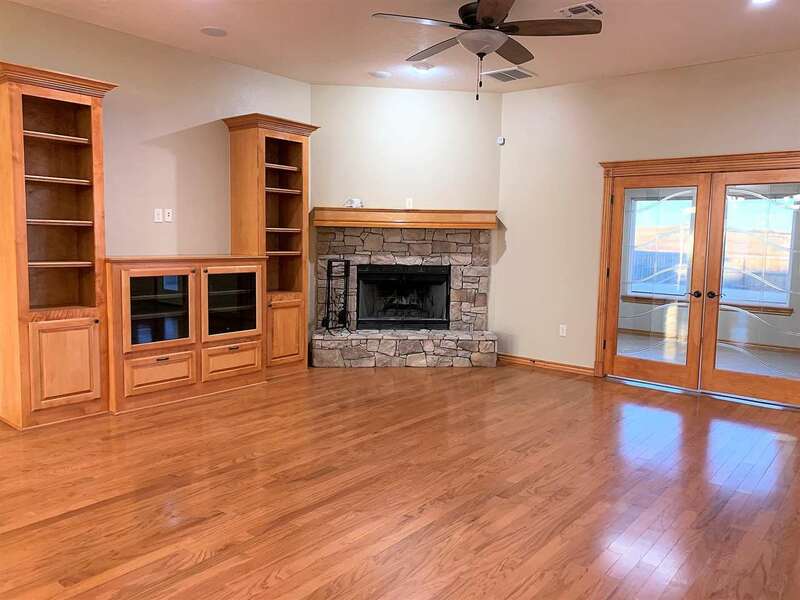 The main living room features a beautiful wood-burning fireplace and a built-in TV hutch with drawers for storage and open shelving for displaying special items. 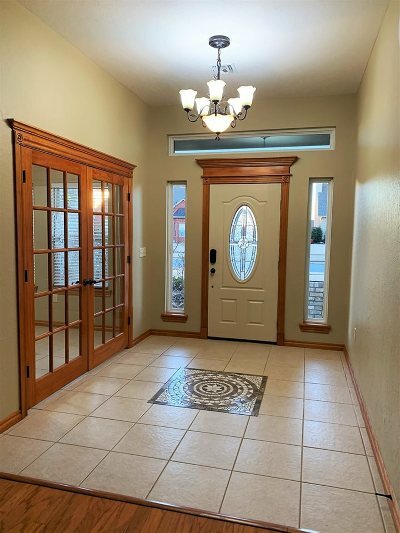 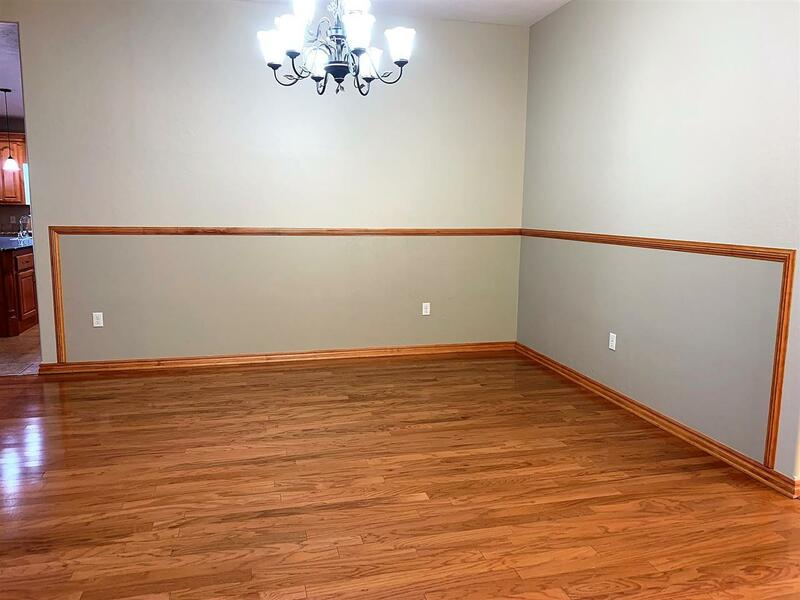 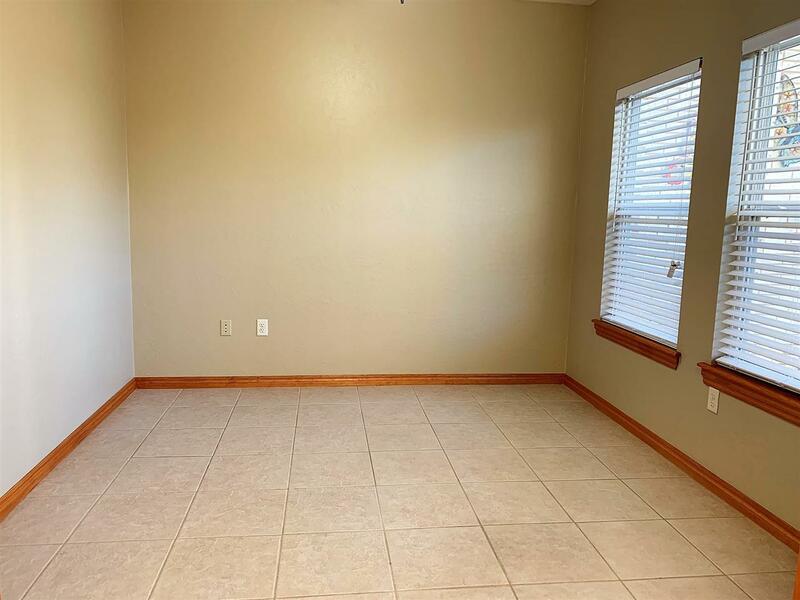 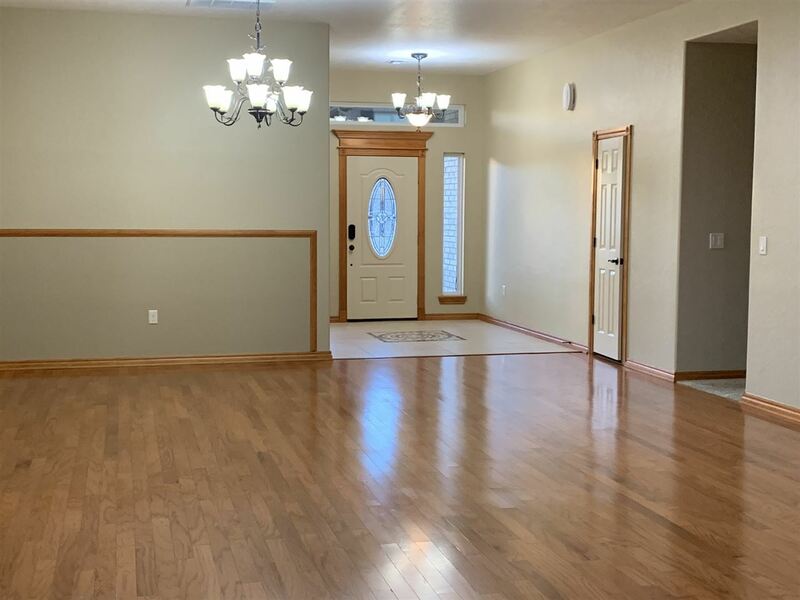 There is a half bath just off the entry way near the office and convenient to the main living room and formal dining area. 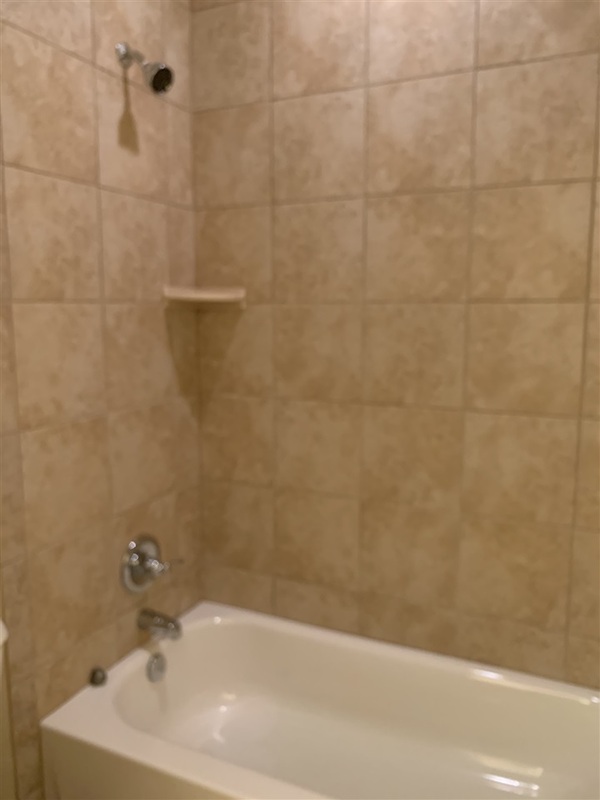 The other 2 bedrooms are nice-sized and privately located down a hallway with a full bath. 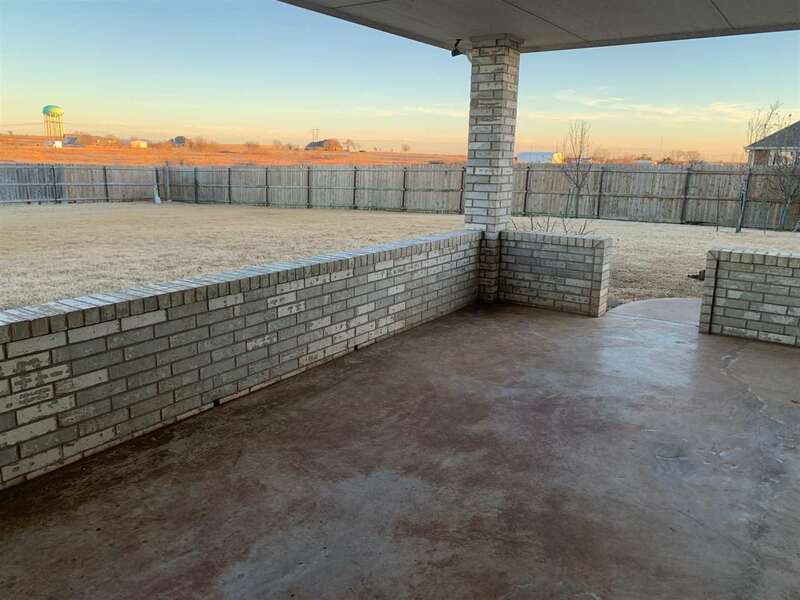 The lot is large and fully fenced on the back. 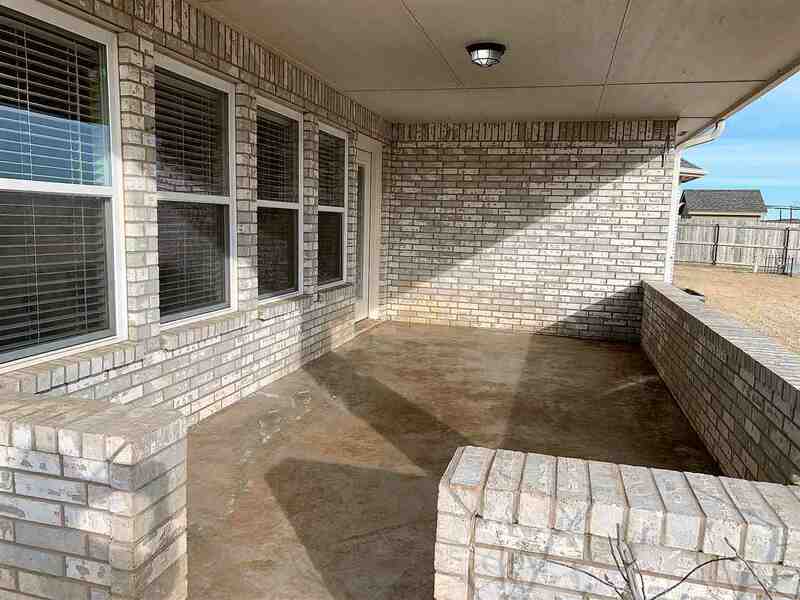 The large covered patio is just off the kitchen and informal dining area and overlooks the backyard. It faces east so it is perfect for enjoying that first cup of coffee or tea! 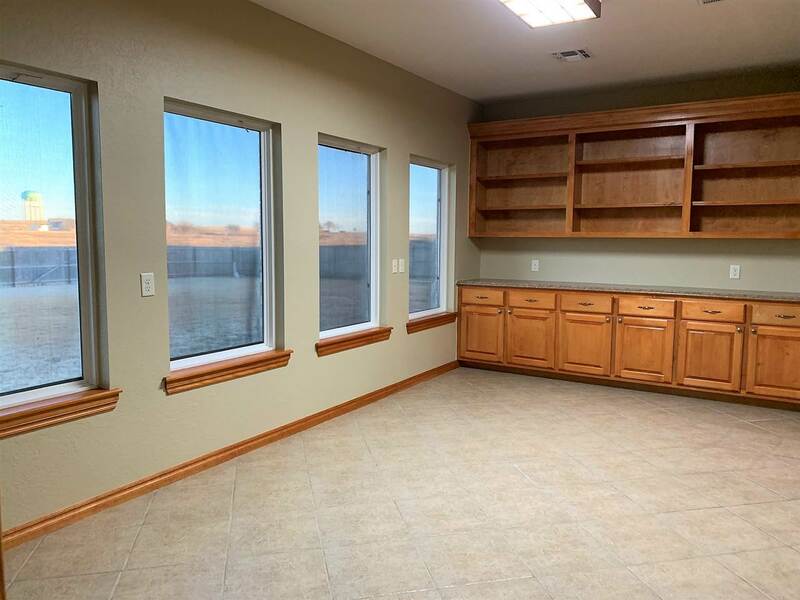 This home is also very energy efficient with 2 HVAC systems, a water softener and insulated windows. 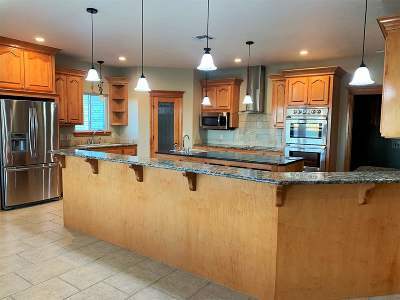 You really must see this gorgeous east side home! 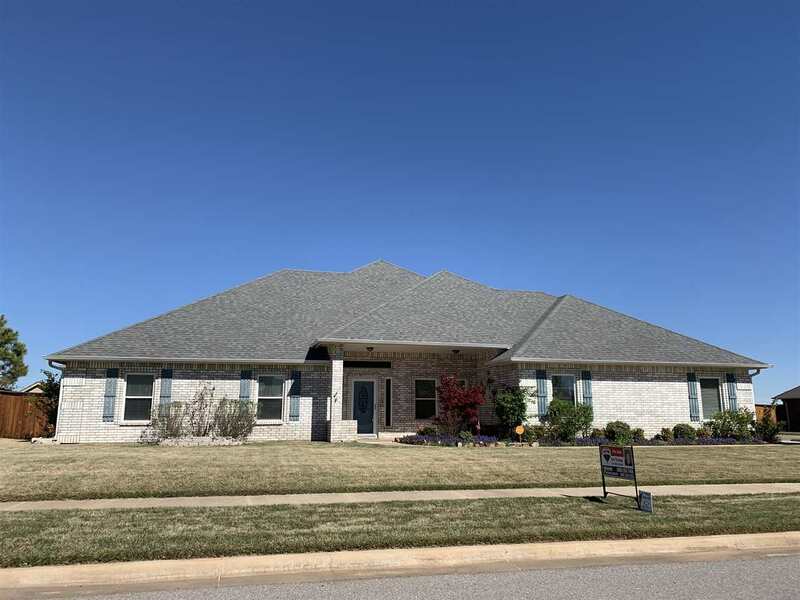 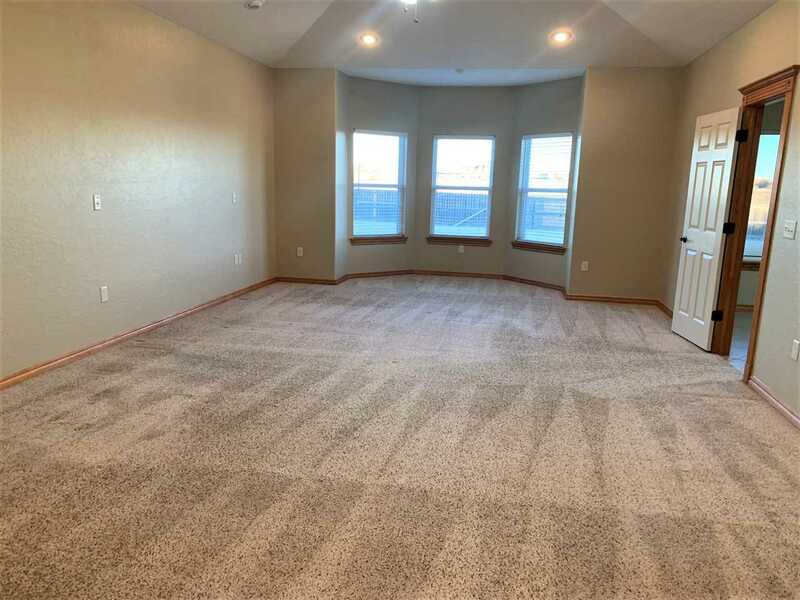 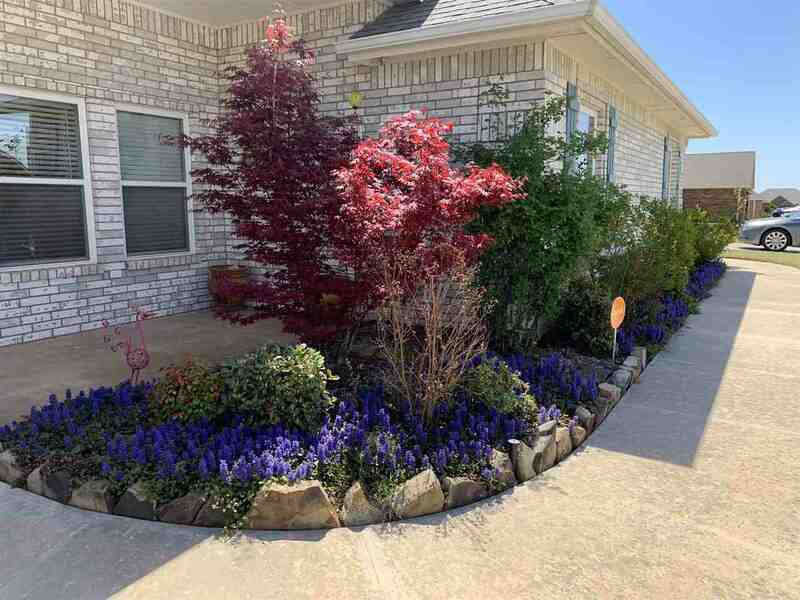 Call Kim Thomas to schedule your tour of this home today, 580-704-9916!